Flexible Circuits Vs. Printed Circuit Boards | Northpoint Technologies Inc. Many people are under the impression that flexible circuits and printed circuit boards are one in the same. However, the truth is there are quite a few things that make them different. If you’re planning on using flexible circuits or printed circuit boards in a piece of electronic equipment, you should make sure you know about their differences first. Learn about them below. Flexible circuits can bend while printed circuit boards cannot. 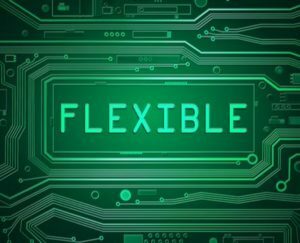 The biggest difference between flexible circuits and printed circuit boards is that flexible circuits can bend, fold, and twist inside of a piece of equipment without a problem. Printed circuit boards, meanwhile, are rigid and need to have space dedicated to them where they can sit without bending, folding, or twisting at all. This difference is the reason why flexible circuits and printed circuit boards need to be made using different materials. Flexible circuits are made using different materials than printed circuit boards. Many different materials are used to make flexible circuits and printed circuit boards. Since printed circuit boards are rigid, they usually have a glass reinforcement like FR4 in them. Flexible circuits don’t need this kind of material since they aren’t rigid. However, flexible circuits need to use adhesives that won’t crack or break when these circuits are bent. The adhesives need to be able to stretch to accommodate the flexible circuits. Additionally, flexible circuits and printed circuit boards use different types of copper. Flexible circuits usually have rolled annealed copper that is flexible while printed circuit boards typically contain electrodeposited copper. Flexible circuits offer more options for designers and engineers. The great thing about flexible circuits is that they offer more opportunities for designers and engineers who are trying to figure out how to install a circuit board inside of an electronic. That doesn’t mean that flexible circuits are always the better option; however, flexible circuits will give designers a chance to rethink the placement of circuits when they have the opportunity to use them. 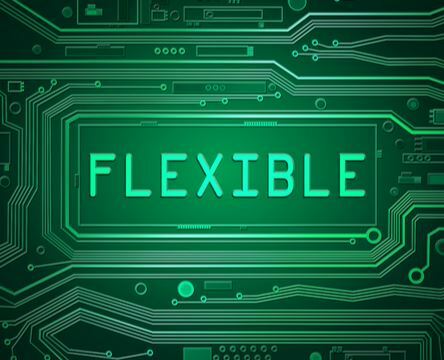 Do you want to see how flexible circuits can benefit your company and the products you create? Call Northpoint Technologies at 915-591-6300 today to learn more about the flexible circuits we can produce for you.